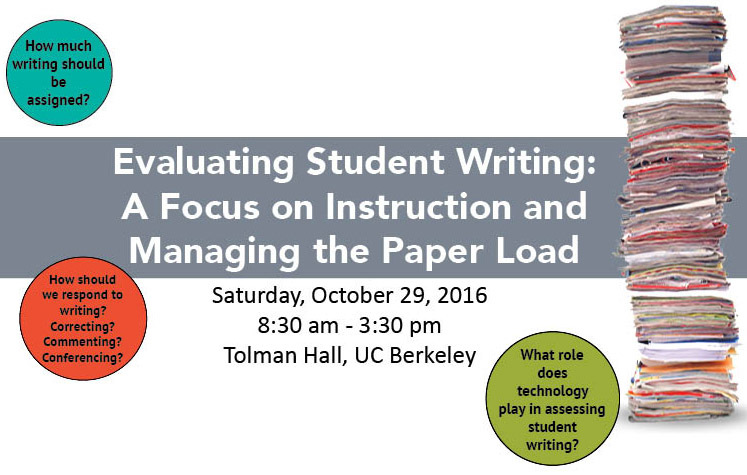 As teachers we grapple with how to effectively assess student writing and manage the paper load created by our students writing. It’s no wonder we find ourselves asking: How do we effectively respond to student writing? How do we grade? How much do we assign per semester? How do we manage the paper load? The Bay Area Writing Project is vitally interested in exploring these questions and look forward to engaging Bay Area teachers in our learnings about assessing student writing, managing the paper work load, and the student learning that does and does not accompany evaluation. Join us for this one-day conference at University of California, Berkeley! By tarakaiser in Events on August 19, 2016 .